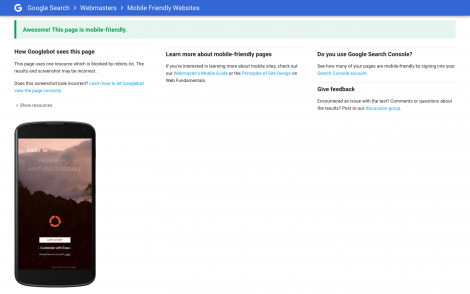 Google to Set Up New Mobile Index: Is Your Website Ready? Have you been paying attention to how your website’s search engine mobile performance results have been doing? If you haven’t, it’s time to start now! Google has now announce that it will create a mobile index separate from its existing search engine. Due to the fact that over half of Google searches are now being made through mobile devices, it was only a matter of time before Google took actions to improve its users’ experience. Google plans to create two separate web indexes – one dedicated to mobile pages and another to desktop pages. Mobile versions of the pages will be prioritized on its search results page. A desktop version will be displayed if the website has no mobile pages available. Google will now place value on mobile pages when indexing a site and determining its position on search results. Once Google sets the change in motion, websites that do not have mobile-friendly designs will likely see significantly reduced search engine traffic. 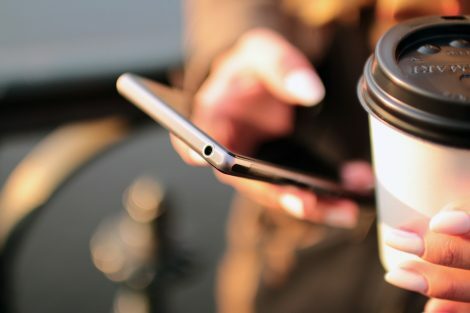 If you host your mobile content on a separate subdomain, this could cause some problems for your search engine results. This is to say that if, for example, a mobile user attempted to access “yourcompany.com” on a mobile phone, they might see the URL displayed as “mobile.yourcompany.com”. If this is the case for your website, it may be time to revise the content you display on the mobile website. Google will be prioritizing the content on that subdomain rather than your desktop version. You can now test how your mobile website is seen by Google’s web crawlers! Visit Google’s test for mobile friendliness to find out how your website performs. You will enter your website’s URL and click the “Analyze” button. If you’re website is seen as mobile-friendly, a green message will display letting you know. liveBooks is Ready for Google’s Mobile Index. Are you? liveBooks is ready for this change in search engine indexing! We are proud to say that all liveBooks websites are fully-responsive. Regardless of screen size, your website will adjust its width and features such as text and images to optimize its mobile visibility. If you haven’t started using liveBooks yet, start your free trial and begin creating your beautiful, fully-responsive website today! 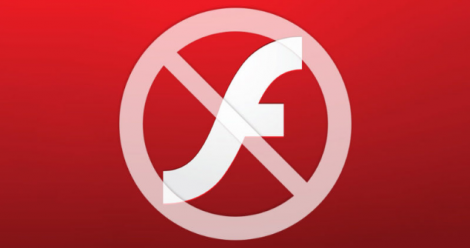 Major Browsers to Block Flash Soon! 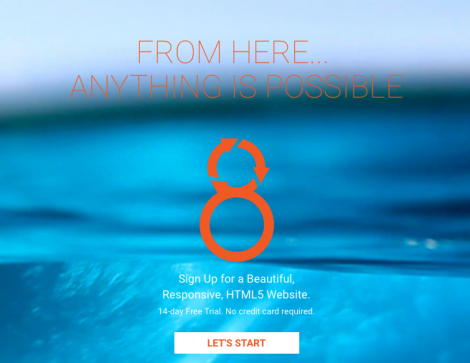 The liveBooks team has been working vigorously this year to migrate many of its clients from the Flash-based Legacy platform to the HTML5-based liveBooks8 platform. The HTML5 platform offers responsive templates that you are readily able to edit on your desktop, tablet or mobile devices! 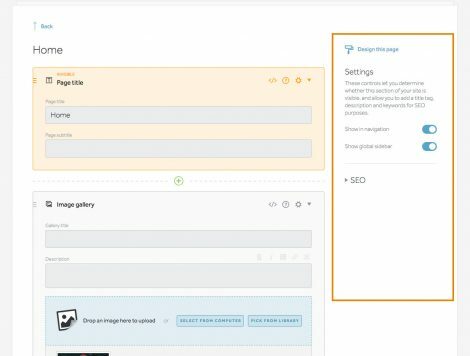 With it a ton of new features are also available – including advanced SEO tools and options for customizations, such as varied portfolio and gallery layouts, a library of hundreds of font choices, drag and drop design, in-line editing tools and much more! In addition to the added features that the HTML5 platform offers, there is one big reason why you should migrate from your Flash website as soon as possible. All major browsers have already set into motion the blocking of flash sites! 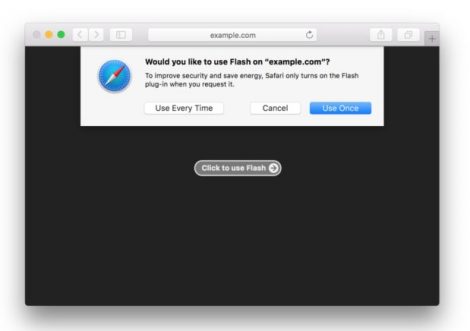 Apple has taken a very big stand against Flash since 2007. This is due in part to Flash websites having slow loading times, being a drain on laptop batteries, and continually having security issues. The measures that Apple has taken will continue to detract visitors from visiting your Flash website. Google announced in May that Chrome would start to block Flash websites with the launch of Chrome 53 in September. More importantly – in December 2016, Chrome 55 will make HTML5 the default experience. Those websites that only run on Flash will need to be enabled by the user to display properly. Mozilla Firefox will retire Adobe Flash as soon as 2017. With the release of Firefox 53, Flash plug-ins will require the user to actively click-to-play. Though Mozilla hasn’t directly stated that Flash will be completely retired after the click-to-play change, the move is apparent. Though Adobe Flash helped make the Web a rich and dynamic experience, a new generation of technology has pushed for a big change in website platforms. The liveBooks8 platform is the optimal choice for our Flash users to transition to. 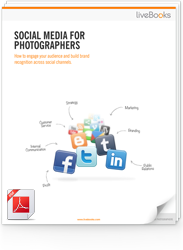 To learn more about liveBooks8 and its main features, please visit this link. To see our migration options and schedule your migration, please visit this link. Search engine optimization, also known as SEO, is one of the most important features that your website can have. SEO is the ability for online search engines to recognize your site through proper indexing. With a sound SEO strategy, you will be able to organically drive customers to your business, based on keywords and common search terms. 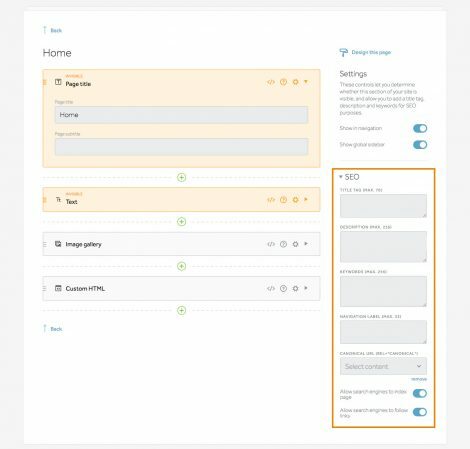 You will notice 5 input boxes: Title Tag, Description, Keywords, Navigation Label, and Canonical URL. If someone tries to copy the information you have on your website to theirs, search engines will recognize you as the primary owner of the content! 4. Select Publish and you are finished!